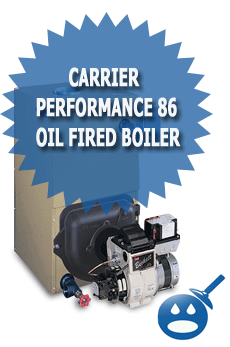 The Carrier Comfort 80 Gas Fired Boiler is a traditional cast iron radiant heat boiler. 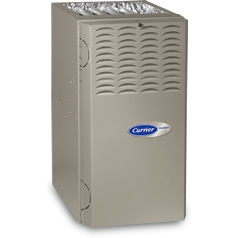 Carrier offers a small line of boilers in their huge inventory of heating products . The Comfort 80 is one of those high quality boilers; it has an Annual Fuel Utilization Efficiency or AFUE of 81.5%. This is considered to be a mid efficient boiler it still has the capacity to keep your home warm and your heating costs down. The Comfort 80 has a cast iron heat exchanger; the heat exchanger is part of the boiler that transfers the heat to the nearest air. The Comfort 80 is a gas-fired boiler, it seems more and more people are choosing gas rather than oil fired. With the cost of heating going up and down all the time, you want to choose a boiler that won’t drive up your heating costs. The Comfort 80 offers residential homeowners a perfect heat source for standard hydronic heating systems. The Comfort Series boilers are available in water or steam but the Comfort 80 is a water boiler. When you choose a gas fired boiler, you get heat when you need it, some systems take forever to get the heat up but the Comfort 80 delivers heat in a seconds. The Carrier Comfort 80 has essential boiler controls, these controls offer a quick to respond heating system and it offers the most reliable operation of most boilers out there. The system is also available with a propane conversion kit, plus it offers a standing pilot design that lets the boiler use flexible heating sources. As we mentioned before the Comfort 80 is a mid efficiency boiler, but contributing to the efficiency is the insulated casing for a maximum operating efficiency and economy. Included in the Comfort 80 Gas Fired Boiler are cast iron boiler sections with seals. These are solid constructed boilers that are specifically made for efficient heat transfer that will end up saving you a lot of money. 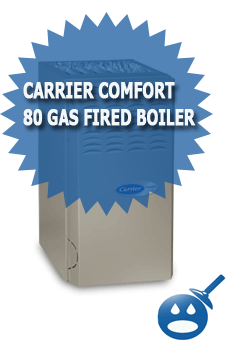 The Comfort 80 offers an automatic vent damper and a pressure relief valve. There are 4 different models in the Comfort 80 Series, it has a Rated Heated Input of 37,500 to 280,000 BTUH and the Rated Heating Capacity of 30,000 BTUH and 226,000 BTUH. 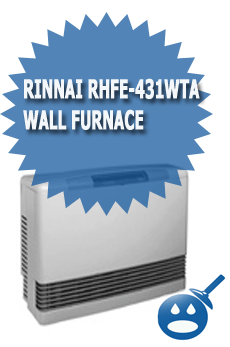 The burners are made from a Titanium Composite and the boiler casing is made of full fiberglass insulation. Carrier is known for their exceptional warranties; the cast iron section assembly is covered by a 20 year limited warranty. 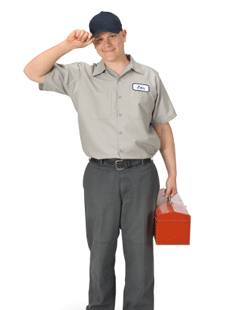 The section assembly in steam boilers is covered 12-year limited warranties. The Comfort 80 Gas Fired Boiler System is covered by a 5 year limited warranty on the whole system. With winter here, it may be time to upgrade from your old boiler system that has been costing you more and more money every year and switch over to a more efficient boiler, the Carrier Comfort 80 Gas Fired Boiler is a good place to start.